The care you need, where you need it and when you need it. Available at all Ridgeview Community Network primary care clinics. Available at select Ridgeview Community Network primary care clinic locations. Available 24 hours a day, 365 days a year at Two Twelve Medical Center in Chaska, Minn.; 6 a.m. to 9 p.m., seven days a week at Ridgeview Sibley Medical Center in Arlington, Minn.; 1 p.m. to 9 p.m., seven days a week at Ridgeview Le Sueur Medical Center in Le Sueur, Minn.; and Monday through Friday, 8 a.m. to 8 p.m., and Saturday and Sunday, 8 a.m. to 5 p.m. at Ridgeview Delano Clinic in Delano, Minn., and Ridgeview Belle Plaine Clinic in Belle Plaine, Minn. Available at Ridgeview Medical Center in Waconia, Ridgeview Sibley Medical Center in Arlington, Ridgeview Le Sueur Medical Center in Le Sueur and Two Twelve Medical Center in Chaska provided in partnership with Children’s Hospitals and Clinics of Minnesota, and staffed by board-certified emergency physicians and emergency pediatric physicians from Children’s Hospitals and Clinics. A brief, 10-minute, get-acquainted visit with a primary care provider during which you can discuss the provider’s practice philosophy and communication style to determine if you can work successfully as a team. 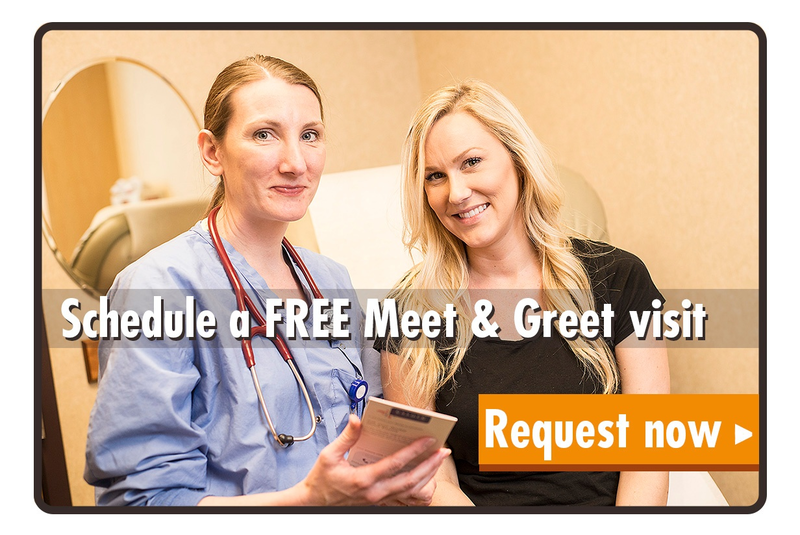 Contact any Ridgeview Community Network Primary Care Clinic to schedule your free Meet and Greet visit, or click below and we’ll contact you to schedule. From a Ridgeview Community Network Pharmacy near you. Work with a registered dietitian to learn about healthy food choices, reading labels at the supermarket, special diets for hypertension, other chronic conditions and more. The PreferredOne Healthy Mom & Baby Program offers expectant parents a free maternity management program with support and information to help promote a healthy pregnancy. A PreferredOne nurse will contact you to discuss your pregnancy, focusing on those areas that are potentially high risk. They will also offer you a gift of two great resources: “Great Expectations – A Guide to Enjoying Your Pregnancy” and “A New Beginning – Your Personal Guide to Postpartum Care.” The nurse will offer ongoing phone support during your pregnancy, both prenatal and postpartum, and will send you information by mail or email. Any information your provide during your phone consultations will be considered private and confidential. PreferredOne will initiate contact with expectant members identified for the Healthy Mom and Baby Program, or if you would like to get started in the program or learn more about it, please contact PreferredOne at 1-800-940-5049, enter #1 and ext. 3456. Upon completion of the Healthy Mom & Baby Program, you will receive a $25 gift card – choose from a number of different merchants. PreferredOne partners with Quit for Life® to provide tobacco cessation support for our members. This program is a telephonic based self-referral program that helps participants successfully quit their tobacco habit. For more information, please call Quit for Life at 1-800-784-8454. PreferredOne offers Online Health Tools & Lifestyle Management Programs to help you reach your health goals – from wellness, to routine medical and illness care, to chronic and rare conditions. You will be able to find a symptom checker, compare costs among providers, review EOBs, or view your own claims history account statement. The PreferredOne online resources offer information you can trust on more than 7,500 health topics. Get in shape and save money too! Work out the program’s minimum number of days per calendar month in order to receive a credit toward membership dues. Fitness Advantage discounts are available at most major fitness facilities, YMCAs and community centers. 24-hour free and confidential telephone consultation and professional support for life’s challenges such as stress or help with financial and legal issues. To learn more, click here. * Some plans may not include this program. To see which programs are available to you, check with your employer or contact Customer Service at the number on the back of your medical ID card. PreferredOne partners with a variety of organizations to provide discount programs and services to help you on the road to better health. To view more information about the discounts, click here. Work with a registered dietitian to learn about healthy food choices, reading labels at the supermarket, special diets for hypertension and other chronic conditions and more.